Boat has full cockpit canvas. potty. 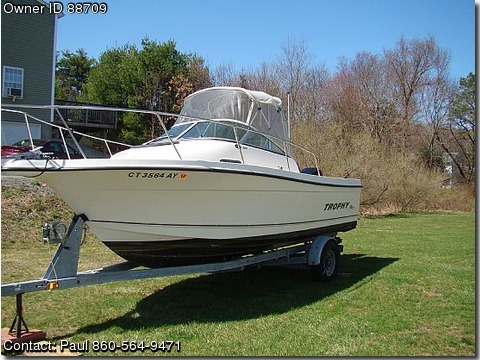 85 gallon fuel tank, 2 batteries, anchor never used, Bimini top, 2 bilge pumps, depthfinder, fishfinder, full gauges, GPS, live well, rod holders, storage, swim platform, trim tabs, Marine radio, original owner.